Quad SoftTech provides comprehensive and enhanced web traffic report and analysis of clients’ site. 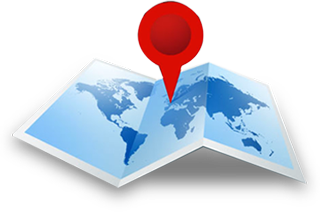 We use latest and innovative tools to track their website and we have all the web statistics for their site. We provide the detailed traffic report of their site as per their business or marketing needs and requirement. How many visitors are coming to your site and from which region? In these visitors, how many visitors visited your site first time or how many visitors are old visitors which visited earlier your site also? How many visitors are unique and how many are visiting your site repeatedly? Which pages are most viewed by visitors? From our web traffic & analysis report, you can do comparison of total number of visitors visited on your website on the weekly, monthly, yearly basis. Through our web analytics tool, you can also compare your total number of visitors within any specified time-limits. On which pages, visitors did spent maximum time and which pages are less visited by them. Our website tracking tool provides you keywords by which your site has been most visited by visitors and which keywords are less searchable. How many visitors come to your site through search engines, back links as well as how many visitors did visit your site directly? Means, our web traffic report keep track of source of your visitors from where they find your site. Our web traffic & analysis report also provides you detailed reporting on an individual level, which shows an individual visitor’s page-wise path on the site along with date & time and their IP address provided by the Internet Service Provider (ISP). For online businesses and e-commerce websites, we use breakdown traffic, based on certain task done by visitors like completing a registration form, proceeding to a shopping cart checkout page or finally completing a payment transaction. We highly recommend website tracking and reporting as a cost effective website analysis tool for understanding customer behavior and website performance. Clients will have the ability to generate reports on demand or we can generate them for you. Clients can also have us interpret reports and provide them with recommendations to improve their website performance.